"Diamonds, the safe investment that protects from financial speculation"
"The most ancient kind of money that raises in value"
Last years financial crisis has eaten away, if not eliminated, the capital of many savers and people start to see metals and fine gemstones as safe haven assets. In fact in ancient times gemstones, together with gold and silver, were used as a form of money because of their universal value; today they are purchased to secure private capitals from the devaluation of money itself. 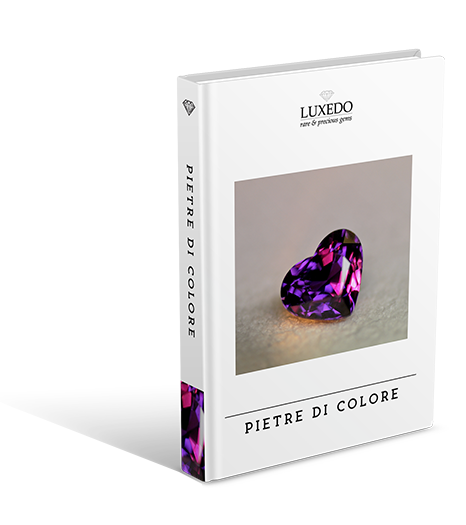 LUXEDO takes care of investments in fine gemstones and can be your reference point for fully understanding the logic that rules this sector. We will give you the best advice for selecting the right gemstones. We underline that not all gemstones are worth investing in; they must have certain characteristics checked by experts. You will find below some replies to frequently asked questions relating to investing in valuables. Who can invest in fine gemstones? We advise investors to be cautious and patient in investing in gemstones; those who may have invested in property but have been discouraged by taxes or those who are looking for a long term investment: precious stones are in fact an asset that re-evaluates with time and that can be handed down from generation to generation without any cost. It is a long term investment; no less than 5 years is the minimum advised. It is a safe investment; gemstones are real assets, commodities that for their nature do not carry any risk. It is an intelligent investment: the gemstones are an asset to the holder and are not subject to any form of tax and can be passed down from generation to generation without costs or bureaucratic procedures. Which gemstones should I invest in? In this case the answer cannot be univocal. The most popular gemstone for investors is definitely the diamond. Other gemstones like the ruby and the emerald (also the tanzanite, the alexandrite and other particularly rare varieties) can also be considered an excellent investment and can increase their value in time, even more than the diamond. Our experts will be able to advise you in the right choice, evaluating gemstone characteristics and carat weight most suitable for investment. The most essential prerequisite is however the gemmological certificate itself; all our gemstones are imported directly from the area of origin, are always accompanied by a gemmological certificate and are sold to the end client without middle-men. Following the financial principle of diversification, fine gemstones could cover a recommended share capital corresponding to 10/15% of the whole personal assets. Are jewels also a form of investment? Jewels represent an investment and extra value only if their components, that is the gemstones and gold, have specific quality characteristics. It is indeed important that gemstones are certified as being natural and of such quality and rarity to merit an investment; only in this case their value can increase with time. We are happy to advise you the right gemstones to create a prestigious jewel that will never go out of fashion and which you can safely invest on; so you can join the advantages of the investment with the pleasure of its use. We offer our private clients the possibility to purchase diamonds lots at lower discounted prices from the wholesale market rates. We believe this approach can lead to a good investment and an increase of the capital in time: the difference in our purchase price distinguishes us from a common jeweller. The investment opportunities we propose are due to our direct partnership with the Diamond Antwerp Bourse and with some African diamond mines. Our diamonds come with the most renowned international gemmological certificates (IGI, GIA, HRD); they are sealed in an anti-theft blister or provided with an inscription of the certificate number on the girdle of the diamond. Just this kind of purchase is guaranteed and safe because the quality of certified diamonds is indubitable and written down in precise data articulated in the gemmological certificate itself. 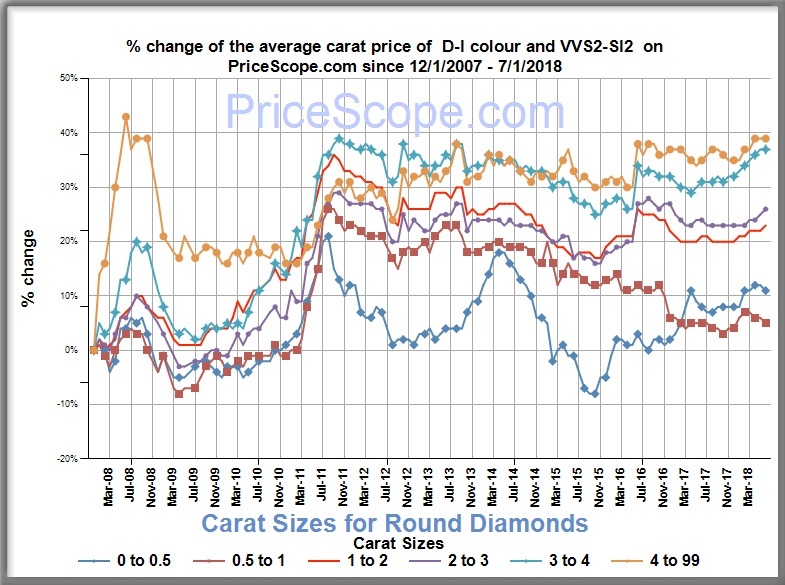 The price of a certified diamond is based on these data, according to the wholesalers’ Rapaport price list, recognised worldwide as a reference for operators in the sector. It grades the price based on the carat weight, colour and clarity of the diamond. Do banks offer investments in diamonds too? Banks also offer investments in diamonds as a commodity; they are offered as a long-term investment to protect the capital from their own financial speculation but anyone can easily verify that the price proposed by them is anything but competitive and rarely represents a lucrative investment. Banks also generally ask for an entry or exit fee for investments in diamonds, so it is nothing else than a diverse form of low rate guaranteed savings. Therefore it would be like investing in treasury bills or bonds with the same old minimum interest and high fees. Luxedo offers diamonds with no entry or exit fees and at noticeably lower prices compared to banks. It also offers advice and assistance by real experts in the industry and not by a bank clerk. Which features should a diamond have if I want to make an investment? A certificated diamond has to undergo careful gemmological analysis, after which it is assigned an accurate qualification and a specific commercial value according to the Rapaport price list. They are in fact the initials of the words “colour”, “clarity”, “cut” and “carat”. The four basic fundamentals for the gemstone qualification and evaluation. The gemstone fluorescence is a further element but is much less significant. When choosing an investment diamond we advise to go for certified gemstones between 0.5 and 1.5 carats, colour from D to H, clarity from IF to VS and cut from very good upwards. 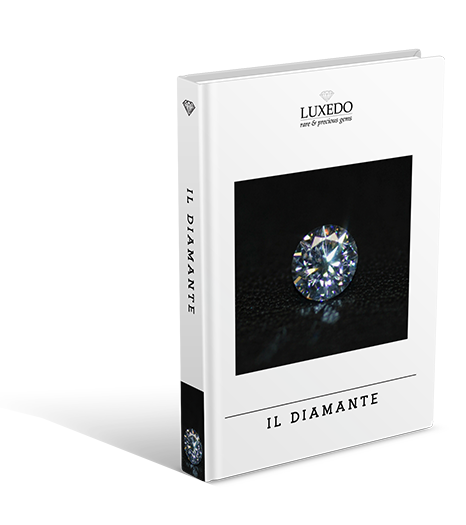 More details and explanations can be found in our guide “Guide to Diamonds”. What is the price trend for diamonds? The trend of diamond prices is almost always on the increase and the DTC, Diamond Trade Company holds the role of moderator in the market itself in international commerce circumstances – rather like Opec for oil. Observing the graphs, you can see that the medium-long term trend is always positive.